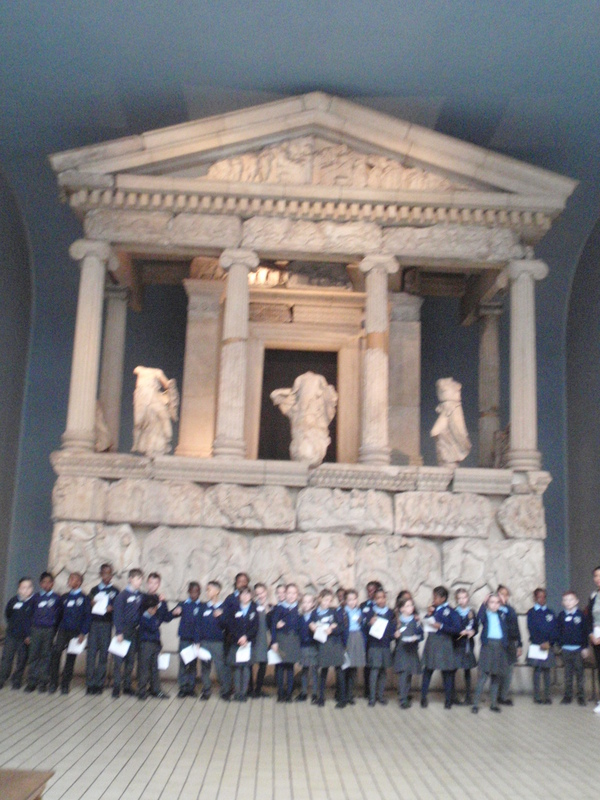 Year 4 have enjoyed a very busy and exciting term so far, including a trip to the British Museum. 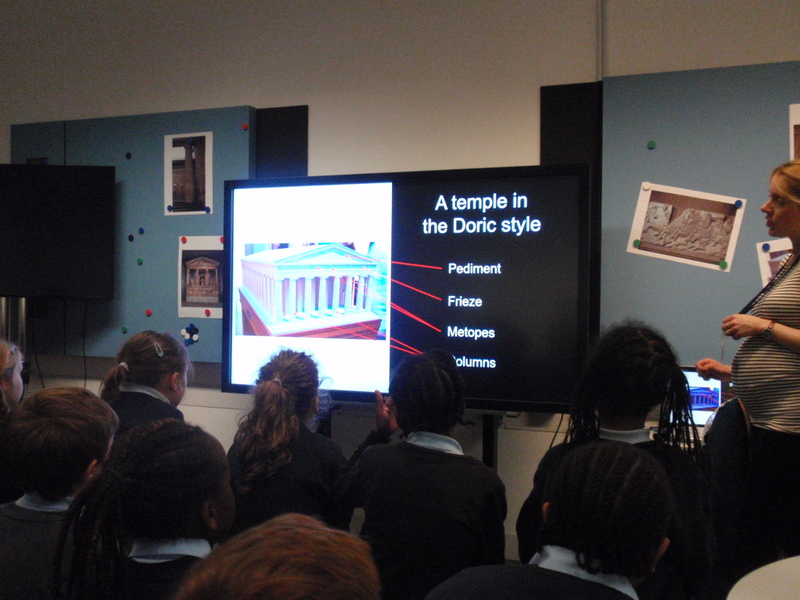 They were able to access the Samsung Digital Discovery Centre with hands-on, interactive activities. 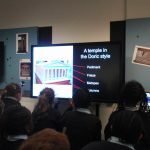 The children designed their own virtual Greek Temples and cast their votes on the best materials to be used via tablets. They were also given a budget to use when selecting the materials for their temples on e-boards. 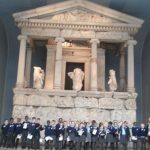 They thoroughly enjoyed taking part in an interactive quiz about all things ‘Greek’. Back at school, the children have been exploring Ancient Greek patterns on vases and were able to write their names using the Ancient Greek alphabet. Well done Year 4! This entry was posted by duck egg. Bookmark the permalink.